It’s beginning to look a lot like convention time in Indiana again. 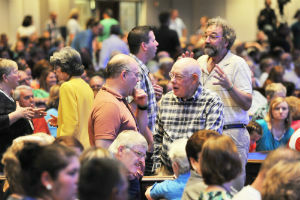 As the season of summer approaches, the corn and soybeans have sprouted, squirrels are scurrying across the Anderson University campus, and Madison Park Church of God is making final preparation to host the second of three Regional Conventions this year. You’ve already heard that Milton Grannum, Reggie McNeal, Steve Arterburn, Arnetta McNeese Bailey, and Ben Hardman will speak to the convention theme of Reclaim Your Neighbor[hood], and you know that Alanna Story will serve as worship leaders. But did you know that a variety of special gatherings, receptions, and opportunities for additional fellowship are scheduled to take place in conjunction with the Anderson event? From alumni luncheons to agency open houses, you’ll want to plan ahead to make the most of your Reclaim 2016 experience. It doesn’t always happen, but when it does, a golden opportunity awaits the Church of God. An unusually high number—nearly forty—of our missionaries happen to be in the States, in town, and conveniently so during the Regional Convention. East Side Church of God has graciously offered to host a “Meet Your Missionaries” event from 2:00 to 4:00 on Tuesday afternoon (June 21). No need to RSVP—just come expecting to be inspired by the work of the Church of God around the world. For more information, contact Global Strategy’s Candy Power at CPower@chog.org. After thirty years of faithful, fruitful ministry in Haiti, John and Jodie Ackerman are retiring. A reception to honor their missionary career will take place following the Tuesday evening worship service. No RSVP is needed. Also, in the world of international ministry, Children of Promise will host an open house from 1:00 until 5:00 on Tuesday afternoon at their offices at 1201 E. Fifth Street across from the Anderson University Campus. An hour-long presentation will take place at 2:30. Also on Tuesday, June 21, you’ll have the opportunity to meet and greet the newly announced president of Warner University, Dr. David Hoag and his wife Joanna. This event will also take place at East Side Church of God, from 2:00 until 4:00 in the afternoon, and you’ll need to RSVP by e-mail to kareen.pickett@warner.edu. Are you an alumni of the School of Theology? Plan to join other alumni for a get-together and lunch from 11:30 until 2:00 on Tuesday, June 21. The buffet lunch is $10 per person, and registration is available online at http://anderso.nu/sot-lunch or by calling 765-641-3898 and leaving a voicemail indicating the number and names of persons attending. Special lunch opportunities on Wednesday, June 22, include a gathering of Church of God Chaplains and the Christian Women Connection luncheon. Both start at noon and conclude at 2:00 in the afternoon. The CWC luncheon will feature guest speakers Ann Smith and Andrea Baker, as well as an opportunity to put into practice the theme of this year’s Regional Conventions. To engage in reclaiming the local neighborhoods in Anderson, they’re encouraging each attendee to bring and donate one nonperishable food item for Operation Love Ministries. Tickets ($15) must be reserved by Thursday, June 16. Register online at http://www.christianwomenconnection.org/news-and-events.html or by calling 866-778-0804. All are welcome to attend the Mid-America Christian University Alumni and Friends reception on Wednesday after the evening session of the convention. No RSVP necessary. 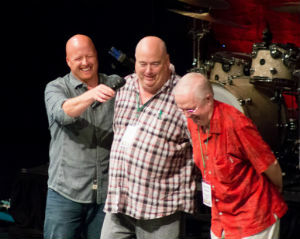 For a schedule of daily convention sessions, visit http://www.jesusisthesubject.org/2016-convention-schedule-anderson/. It’s not too late to make plans to attend the Church of God Regional Convention and CHOG Table in Anderson, Indiana, June 21–23. 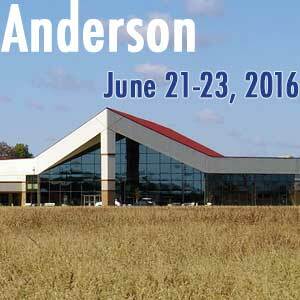 For registration options, visit http://www.jesusisthesubject.org/2016-convention-anderson/. For information regarding the CHOG Table (topic: Immigration), visit www.chogtable.org. This entry was posted in All Church of God, Church of God Convention, Great Lakes and tagged Anderson, camp meeting, Campmeeting, Church of God Regional Convention, extra events, Indiana, luncheon, Madison Park Church of God, NAC, other events, receptions, Reclaim, Reclaim 2016, Reclaim you neighborhood, special events. Bookmark the permalink.